Director Tim Burton was on stage today at Comic-Con for exclusive clips and a Q&A for his animated feature, Frankenweenie. The trailer started off in the same way as the previously released trailer, but with a new vintage voiceover that acted as a throwback to the classic monster movies of old. More on the extended trailer in a bit. Burton also hosted a couple of clips exclusive to Comic-Con which highlighted the other characters in the film, especially Victor’s fellow students (who are all incredibly creepy). Another clip showed off the science experiments enacted by Victor and his friend. Frankenweenie stars Charlie Tahan, Christopher Lee, Martin Short, Catherine O’Hara, Winona Ryder and Robert Capron. Hit the jump to read more on the Frankenweenie panel. The extended trailer (which you can see right here) introduced the antagonists of the film, other students who stumble upon Victor’s experimental secret and decide to resurrect some creatures of their own. It features a lot of new footage highlighting the other characters, each of whom has their own unique weirdness to them. 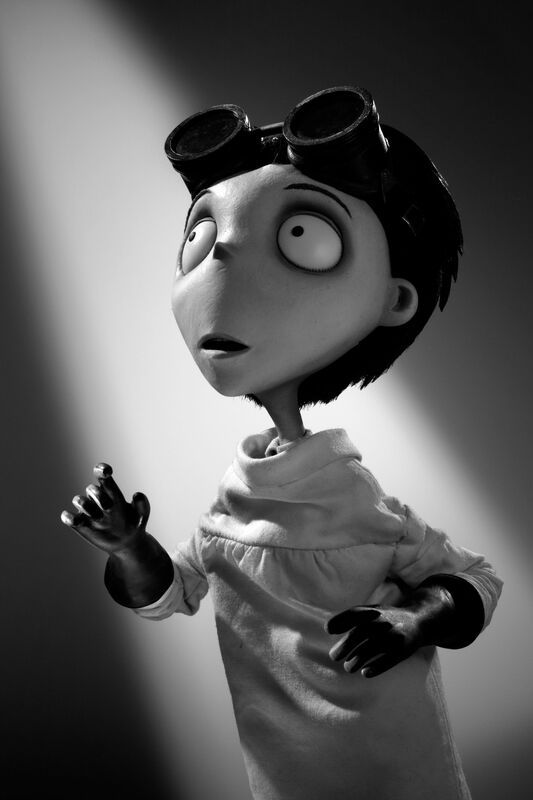 The conflict in Frankenweenie is revealed a bit more as Victor is tasked with righting all of the wrongs perpetrated by his classmates. After the extended trailer (shown in 3D to much applause), Burton took the stage to talk about the origin of Frankenweenie. It was one of his first shorts of his career, one that he shot in live-action in 1984. He blended his love of old monster movies and a memory of his first dog that died when he was a child. Burton also talks about drawing on elements of horror, humor and heart of the story for Frankenweenie. He repeatedly calls it a special, personal project for him. 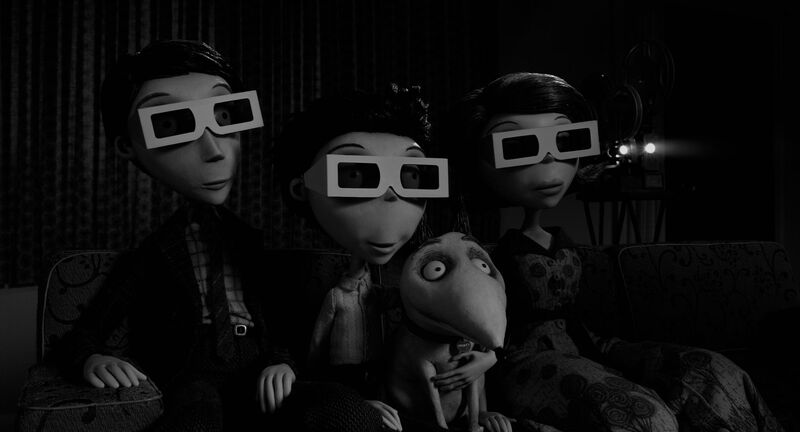 In talking about the stop-motion animation, Burton also commented on the use of puppets instead of digitally animated characters or Claymation figures. – A classroom scene featuring the creepiest kids ever along with their science teacher, Mr Rzykruski (Martin Landau), who explains the effects of getting hit by lightning. The professor explains in detail how electrons travel from storm clouds down to the ground and anyone who happens to get caught up between the two meets an unseemly end. The kids then go on to talk about their own ideas on the source of lightning, from graveyards to windmills to improper burial sites. Burton talks about the kids in the classroom as being drawn from kids he knew in school who were just a little strange. He also comments on making it personal from his memories of school. Burton then talked about the old classic monster movies where characters have their own films but occasionally crossed over. – Monster-making moment: Victor and his friend talk about the science of bringing pets back to life. Frankenweenie looks on as they test their theory on a dead goldfish, resurrecting it with unexpected results. An empty jar of water returns from the lightning-struck rooftop, but the kids find that the goldfish is now invisible. Victor makes his friend promise not to tell anyone about their experiments, but of course the friend has his fingers crossed behind his back. Frankenweenie debuts October 5th. Make sure to catch up on our continuing Comic-Con coverage right here.